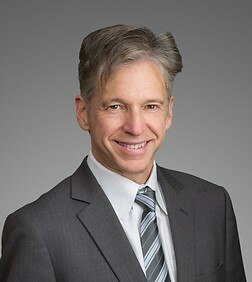 John M. Landry is a special counsel in the firm's Los Angeles office. He is a member of the firm's Business Trial Practice Group. Mr. Landry practices in a broad spectrum of subject areas with emphasis on class action defense, antitrust and securities litigation. Mr. Landry also has experience in accountants’ liability litigation, corporate control contests and responding to Securities and Exchange Commission investigations. He has represented Microsoft, Philip Morris, Merrill Lynch, Merck, Medco Health Solutions and Citibank. Represented J.C. Penney in putative consumer class action in federal court alleging false advertising conduct related to alleged defective jewelry products. Mr. Landry assisted in all aspects of opposing class certification, including expert witness discovery. The matter resolved while the class certification motion was pending. Represented Amgen in major federal securities fraud class action brought by pension fund. Mr. Landry assisted in challenging the district court's class certification order in appeals to the Ninth Circuit and U.S. Supreme Court. Represented Amgen and other defendants in a putative ERISA class action arising from defendants' decision to offer Amgen stock as an investment option in company-sponsored pension plans. Plaintiffs allege, inter alia, that defendants should have known during the alleged class period that investment in Amgen was no longer prudent and thereby breached fiduciary duties under ERISA. Mr. Landry was brought in to handle issues on appeal. Represented Black & Decker in an action brought under California’s Cartwright Act alleging that Black & Decker had terminated plaintiff’s retail tool distributorship at the behest of plaintiff’s rival, another Black & Decker distributor. Mr. Landry handled all aspects of the case, which resolved favorably. Represented Microsoft in defending a lawsuit brought by Sun Microsystems alleging monopolization and tying violations of the federal antitrust laws. The case was filed in 2001 and a settlement was reached in 2004. Mr. Landry’s role consisted of briefing motions to dismiss, opposing preliminary injunctive relief and working with Microsoft’s expert witnesses. Represented Medo Industries, a subsidiary of Pennzoil/Quaker State, in a case brought by a rival alleging that Medo was attempting to monopolize a nationwide market for automotive air fresheners and had engaged in unfair competition in violation of California law. The case settled on favorable terms. Represented International Rectifier Corporation in a major securities class action. Mr. Landry took a leading role in the effort to defeat class certification. The case settled favorably while defendants' opposition to the class certification motion was pending. Represented Medco Health Solutions, Inc. in a class action suit brought by California retail pharmacists against the pharmacy benefits management industry based on alleged violations of state law, including California’s Business & Professions Code Section 17200 et. seq. Represented Credit Suisse in Enron-related securities litigation brought by several investment funds in California state court. Mr. Landry was involved in developing defense strategies and conducting key offensive discovery of individuals responsible for the plaintiffs' investment decisions. Represents Asiana Airlines in a federal multi-district class action alleging a global conspiracy by air cargo carriers to fix fuel and other surcharges in violation of the Sherman Act, state law, and European competition law. Mr. Landry handles various aspects of this case including working with Asiana’s expert consultants. Represented Walt Disney Studios Home Entertainment LLC in a class action by retail video store owners against studios and Blockbuster alleging a price discrimination claim under California’s Unfair Practices Act. Mr. Landry worked on various aspects of the litigation which settled in 2007. Represented Philip Morris U.S.A. in defending nationwide class action antitrust cases pending in state and federal courts. The plaintiffs alleged Sherman Act Section 1 violations for cigarette price-fixing by the major manufacturers. The cases were filed in 2000 and the federal direct purchaser claims were dismissed after Philip Morris and the other defendants obtained summary judgment. The team led the briefing in the district court and in prevailing on appeal. Mr. Landry’s role included developing Philip Morris’ economic expert proof and opposing class certification in several state court purchaser actions. Represented RITA Medical Systems, Inc. and its directors in class action litigation brought by certain shareholders seeking to enjoin a merger. Mr. Landry handled all aspects of the litigation including negotiating a settlement that allowed the merger to proceed without delay. Represented KPMG in an action in California arising out of the World Bazaars Inc's bankruptcy case. Mr. Landry handled all discovery and summary judgment proceedings. The case was settled favorably while KPMG’s summary judgment motion was pending. Represented Zero.Net, an internet incubator and holding company, and several of its directors and affiliates, in federal securities fraud litigation brought by key investors who sued after the collapse of the company's stock price. Mr. Landry handled all aspects of the litigation, including developing a loss causation defense and defeating plaintiffs' early efforts to attach the client's California assets. After narrowing the pleadings, and conducting discovery, John settled the litigation in a manner favorable to the client. Represented Synetic Inc. and coordinated its responses to a formal investigation by the Securities and Exchange Commission regarding suspected illegal trading by an outside director and his alleged tippees. Tasks included negotiating significant limitations on discovery requests and advising the client on attorney-client privilege issues. Represented Medco Containment Services Inc. and two of its subsidiaries in several shareholder lawsuits filed in Delaware Chancery Court arising from Merck and Co., Inc.'s announced $6 billion acquisition of Medco in 1993. Claims against Medco directors included breach of fiduciary duties and securities violations. After defending numerous depositions, Mr. Landry negotiated a resolution of each litigation, which included structural changes to the transactions, on terms favorable to Medco. Represented Merrill Lynch in major securities litigation brought by a number of large institutional investors (including Harvard's endowment fund) arising from Merrill Lynch's sale of certain notes issued by Lomas Financial Corporation. Mr. Landry assisted in drafting motions to dismiss, discovery requests and motions to compel discovery. These cases were settled on terms favorable to Merrill Lynch and Mr. Landry assisted in preparing the settlement documents. Represented Medco Containment Services Inc. in responding to an investigation by the Securities and Exchange Commission of suspected insider trading in Medco shares prior to a merger announcement. Tasks included conducting an investigation for the client and preparing extensive chronologies as requested by the SEC. Represented KPMG in a major accountants’ liability action arising from KPMG’s role as auditor for Orange County from 1992-1994. After seeking bankruptcy protection in December of 1994, the County sued KPMG for alleged breach of contract and negligence relating to investment losses of $1.8 billion in the County’s portfolio. Mr. Landry’s role in the case consisted of organizing and managing KPMG’s discovery of significant third party witnesses, including various water districts and school districts which had placed funds in the County’s investment pool. Represented Merck and Co., Inc. in In re Brand Name Prescription Drug Litigation, one of the largest private antitrust litigations ever brought in the United States. Plaintiffs, independent and chain store pharmacies, through class actions and individual lawsuits, sued the entire brand-name prescription drug industry, alleging that defendants conspired to fix prescription drug prices in violation of Section 1 of the Sherman Act and that they engaged in price discrimination in violation of Section 2(a) of the Robinson-Patman Act. In the class actions, Mr. Landry managed offensive and defensive discovery. Among other things, Mr. Landry supervised numerous associates and contract attorneys, conducted key depositions of executives of the leading plaintiff drug store chains, including Walgreens and Rite Aid, defended depositions and argued several pivotal discovery motions. In 1997, Merck settled the class cases on a favorable basis. Represented Porex Technologies Corp., a former distributor of silicon gel breast implants and a defendant in multi-district breast implant litigation. Mr. Landry advised Porex with respect to its litigation strategy and settlement discussions. In counseling Porex regarding its potential exposure arising from this litigation, Mr. Landry also negotiated with Porex’s insurance carriers regarding the funding of defense and indemnity costs and advised Porex with respect to public disclosure of the litigation and its impact on the financial condition of the company. Represented Porex, a breast implant distributor, in a product liability insurance coverage dispute. Porex and its primary insurance carrier sued Mitsui, the insurer of the manufacturer of the breast implants distributed by Porex, with respect to certain insurance policies in which Porex was named as an additional insured. Mr. Landry conducted deposition discovery of Mitsui representatives and drafted memoranda in opposition to several dispositive motions. Represented Northern Telecom in a product failure case. After AT&T sued the Human Resources Administration of the City of New York (the HRA) to collect outstanding long distance bills for calls fraudulently charged to the HRA, the City impleaded Northern Telecom, Inc., the manufacturer of the HRA’s telephone switch, through which the unauthorized calls were made. Mr. Landry defended Northern Telecom against the HRA’s claims for alleged defective manufacture and design and breach of contract. In addition to conducting discovery, Mr. Landry drafted the motion for summary judgment which disposed of the entire case against Northern Telecom. The reported decision is a leading case on the economic loss rule, a principle which bars recovery in tort where defendant’s negligence did not result in personal or property damage.